The Vols were looking for revenge on Saturday, and they found it. Tennessee dominated Kentucky from start to finish on Saturday afternoon in Knoxville, knocking off the Wildcats by a score of 71-52. 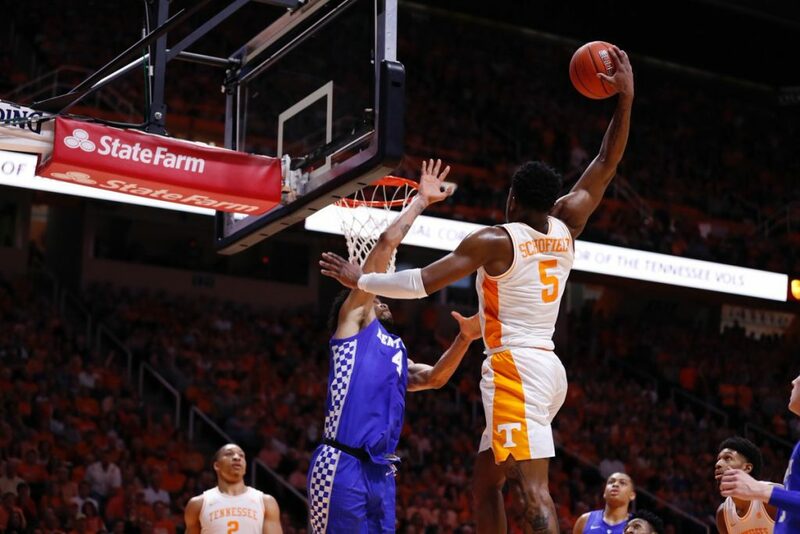 The Vols successfully avenged their 17-point loss to Kentucky up in Lexington just two weeks ago with the 19-point blowout in front of a sold out crowd in Thompson-Boling Arena. No. 7 Tennessee (26-3, 14-2 SEC) fell behind early, but once they got their feet under them, they ran No. 4 Kentucky (24-5, 13-3 SEC) out of the arena. Kentucky opened the game on a 6-0 run over the first two-plus minutes. The Vols were playing sloppy, and their defense wasn’t great either. But then they calmed down, and they settled in and turned it around. The Vols would go on a 9-0 run to take a 9-6 lead with 14:36 to go in the first half, then the Wildcats and Vols would keep it close for the next seven minutes. 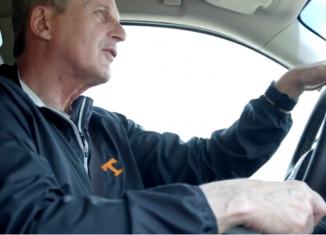 Then, Tennessee blew it open. 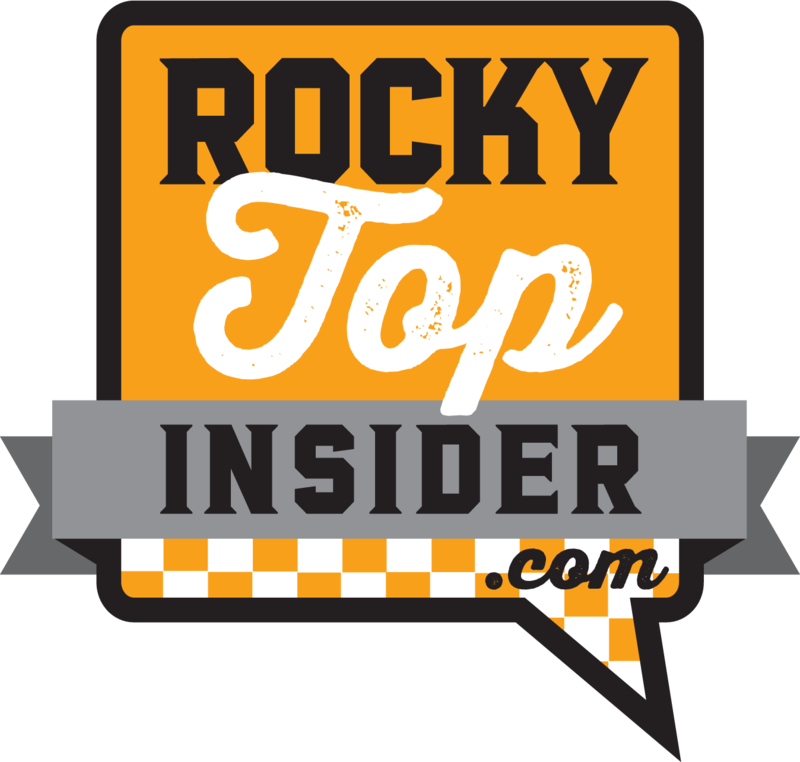 Jordan Bowden nailed his first three since the Vols took on South Carolina on February 13th, and it gave UT a five-point lead. Tennessee would then push that to a 10-point lead just a few minutes later. At that point, the wheels started to fall off for Kentucky. The Wildcats went ice cold from the field once PJ Washington picked up his second foul and went on the bench, and head coach John Calipari was getting more and more frustrated with the officials. 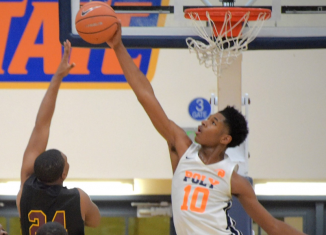 That culminated in him getting called for a technical foul with 2:17 to play in the first half after Nick Richards picked up his third foul. 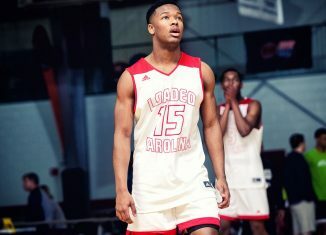 Grant Williams would make three of the four free throws he attempted after that sequence to give the Vols a 32-20 lead, then he dished an alley-oop to Jordan Bowden moments later that made Thompson-Boling Arena explode. Kentucky only made one of their last 15 field goals to end the first half, and they went 9:32 of game time without hitting a field goal. Their only points from the 10:23 mark in the first half till the 51 second mark came from free throws. Tennessee held a 37-24 lead at halftime, and they kept their foot on the gas in the second half. The Vols outscored Kentucky 34-28 in the second half, and they kept their foot on the Wildcats’ throat for the entire final half of play. Kentucky never got it closer than a 13-point deficit at any point in the second half. Tennessee’s defense played arguably their best game of the year. The Vols held Kentucky to just 31.8 percent shooting as a team, and the Wildcats made just five of their 19 three-pointers. If not for Kentucky getting to the free throw line 29 times, the final score might’ve been even more lopsided. The absence of Reid Travis in the post for Kentucky was evident. The last time these two teams played, the Wildcats outscored the Vols 38-20 in the paint. With Travis sitting because of an injury he sustained in UK’s match-up against Missouri, the tide turned in Tennessee’s favor on Saturday. Tennessee outscored Kentucky 28-10 in the paint, and they limited star Kentucky forward PJ Washington to just 13 points on 2-of-6 shooting. 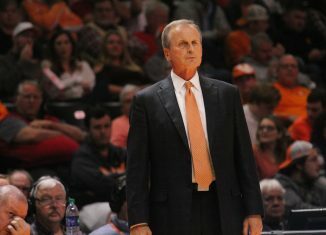 With the win, the Vols improved to 4-0 against Kentucky at home under Rick Barnes. Here are our five biggest takeaways from the Vols’ dominating victory over Kentucky. Jordan Bone and Grant Williams were a dynamic duo against the Wildcats on Saturday afternoon. The pair of juniors combined to score 51 points, nearly totaling what Kentucky got as a team. Bone scored a new career-high on Saturday, getting 27 points, three rebounds, and three assists in 35 minutes. He didn’t turn the ball over, either. Williams scored 24 points and pulled down seven rebounds in 32 minutes. Williams was 7-of-13 from the floor overall, and he made two of his four three-pointers. He was 8-of-11 from the free throw line as well. Against Kentucky two weeks ago, Williams had 16 points and only attempted four total field goals. Tennessee only got seven points from Admiral Schofield on 3-of-13 shooting, and Lamonte Turner only contributed four points. 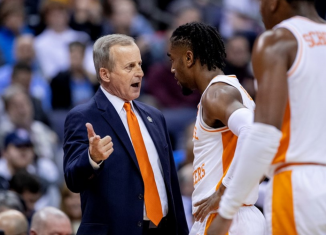 The Vols did get a better overall game from Jordan Bowden, as he made his first three since UT’s game against South Carolina on February 13th and finished with nine points on 4-of-9 shooting. But for the most part, it was all about Williams and Bone. The last time Kentucky and Tennessee played, PJ Washington and Tyler Herro were big difference-makers. On Saturday, they were stymied. Washington scored 23 points and grabbed five rebounds against the Vols two weeks ago. Herro didn’t shoot particularly well, but he finished with 15 points and 13 rebounds, his first career double-double. On Saturday, both players were almost non-factors. Washington finished with 13 points and three rebounds. He only attempted six field goals and had four turnovers in 30 minutes. He got in some foul trouble as well — picking up two in the first half early — and nine of his 13 points came from the free throw line. Herro was extremely inefficient on the day. He finished with just six points and only made two of his 11 field goal attempts. He missed all five of his three-pointers, and he pulled down just six rebounds in 35 minutes. Keldon Johnson scored 19 points and was 3-of-6 from three two weeks ago against Tennessee. In this game, he scored just seven points and was 1-of-5 from three and 2-of-9 overall. Rupparees Make it to Knoxville? The officiating wasn’t clearly one-sided either way, but there were questionable calls on both sides. 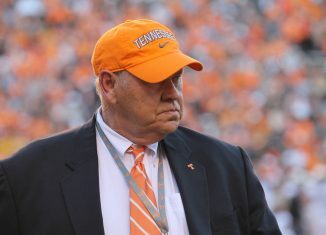 And it certainly felt like the Vols were called for some weaker calls at times. Kentucky went to the free throw line 29 times on Saturday compared to just 14 by the Vols. Tennessee didn’t attempt a single free throw in the second half. The Vols were called for 22 total fouls while Kentucky was whistled for 16. The disparity was really created in the second half when Tennessee was called for 11 fouls while the Wildcats were called for just six. Despite that, Tennessee still walked all over Kentucky. 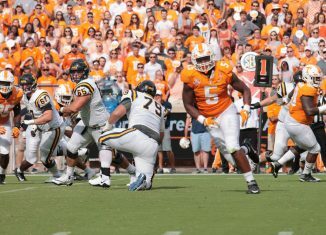 On Saturday, the Vols did an excellent job of not turning the ball over and making smart plays on offense. Tennessee totaled just five turnovers as a team against the Wildcats. They had just two giveaways in the first half and only three in the second half. The Vols also totaled 15 assists on 27 made buckets. Kentucky, meanwhile, turned the ball over 17 times. 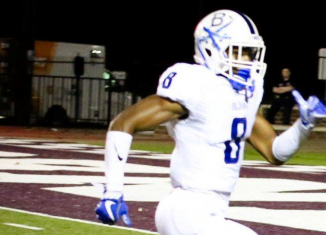 They had eight turnovers in the first half of play and followed that up with nine turnovers in the final half. The Vols had been struggling with turnovers over their last few games. 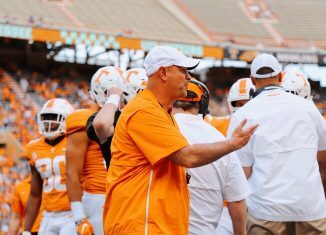 Over their last six contests, Tennessee had averaged 11 turnovers a game and had totaled double-digit turnovers in four of their last six contests. Against Kentucky on Saturday, though, they played a much cleaner game. 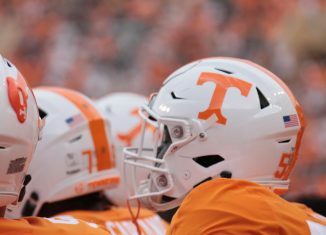 Tennessee came into Saturday’s game looking to get revenge after Kentucky embarrassed them in Lexington, and they returned the favor in Knoxville. The Wildcats blew out Tennessee by 17 points back on February 16th, and Tennessee beat Kentucky by 19 in Knoxville. That’s a 36-point differential between the two games. With the win, Tennessee stayed tied atop the SEC standings with LSU and separated themselves from Kentucky with only two regular season games remaining.